Situational awareness: Sheryl Sandberg is still apologizing, this time at the DLD conference in Munich, aka the Davos pre-conference. Rihanna is going to have her own luxury brand. Are you ready for the super blood wolf moon? The best speech ever given to an audience of bankers was delivered by Paul Volcker in December 2009. His famous zinger: "The most important financial innovation that I have seen in the past 20 years is the automatic teller machine." Volker was right in substance, but he did miss one financial innovation that has been unambiguously positive for the world. 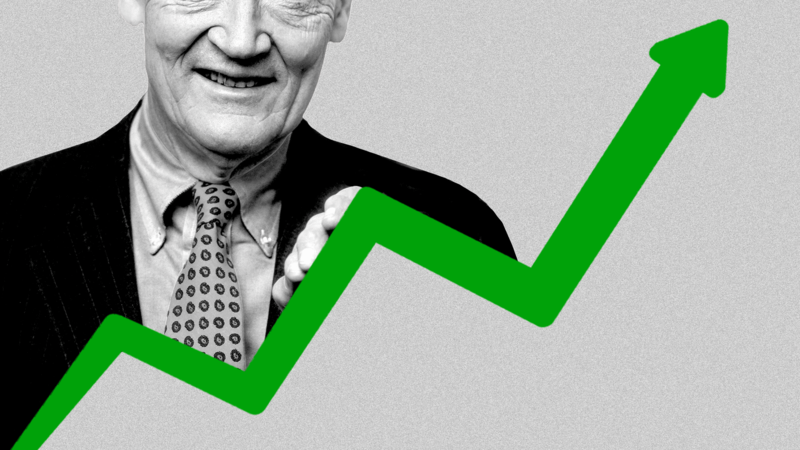 The low-cost index fund, as popularized by Jack Bogle (1929–2019), has given millions of investors billions of dollars in extra retirement income. Larry Fink's real letter this year hammered home one point in particular. His clients "have decades-long horizons," he wrote, which means that he's looking for "long-term growth" and "a long-term approach" (a phase he used three times, including twice in the final paragraph). To that end, he said, he would like the companies he invests in to have "compensation that promotes long-termism." Many of Fink's exhortations are vague and platitudinous, but that last one is clear: Companies should pay their employees not on the basis of how much money they made this quarter, or this year, but rather on a much longer time horizon. The big picture: In general, high-paid employees are much more likely to find themselves in multiyear compensation schemes, which Fink presumably likes. But those schemes have their own downsides. Apple CEO Tim Cook made $137 million in 2018 alone, thanks almost entirely to a single stock grant in 2011. His opportunity cost of leaving Apple could be close to $1 billion — making it effectively impossible for anybody else to hire him. Banco Santander hired UBS investment-banking chief Andrea Orcel to be its new CEO, but then had to un-hire him when they realized just how much it was going to cost them to compensate him for the deferred pay he was giving up in Switzerland. Marissa Mayer hired Henrique De Castro from Google after she became the CEO of Yahoo. He only lasted 15 months, but that was long enough for him to earn well over $100 million, including $58 million in severance. Megyn Kelly got paid the entirety of her $69 million contract at NBC, despite disappointing ratings that led to her being fired long before her contract was up. Even Les Moonves, fired from CBS for cause, is fighting for $120 million in severance. Be smart: When people like Larry Fink extol long-termism, they encourage companies to lock in executives with contracts that can be worth hundreds of millions of dollars. It's far from clear that shareholders are well-served by such deals. DJ D-Sol released his first original track at the end of December, called "Feel Alive." Full of uptempo house beats, the single weirdly didn't set the tone for how the DJ introduced himself on his first earnings call as CEO of Goldman Sachs. I'm going to start off this morning by reiterating that I'm fully committed to an active and ongoing dialogue with our shareholders and our broader stakeholders. I'm excited about our new call format... Our overarching priority is to execute our core mission, serving our diverse client franchise. OK, maybe that's more "feel as though you want to stick a fork in your eyeball" than "feel alive," but maybe it's hard to feel too alive when the sticker price for avoiding criminal prosecution in Malaysia is $7.5 billion. We earn consumer screen time, both mobile and television, away from a very broad set of competitors. We compete with (and lose to) ​Fortnite​ more than HBO. Go deeper: Fortnite isn't a video game, it's a social network. As Axios' Eileen Drage O'Reilly reports, a child born today is half as likely to die before the age of 5, compared to if she was born in 2000. This isn't general global good fortune; rather, it's the result of targeted interventions, costing hundreds of billions of dollars, from GAVI, the Global Fund, the Global Polio Eradication Initiative and the Global Financing Facility. New data from the BLS show that unionized workers still make substantially more money than their non-unionized counterparts. The teachers strike in Los Angeles has cost $125 million so far, and all indications are that it's not going to end soon. Britain is broken, and there doesn't seem to be anybody who's able to fix it. Some world leaders won’t be there, dealing instead with chaos in their own countries. Trump is entering the fifth week of a government shutdown, while Theresa May has to announce her Brexit Plan B. Emmanuel Macron will skip Davos too, after weeks of protests in France. A notable Davos first-timer is Brazil’s Jair Bolsanaro. The controversial, far-right president is using the trip to push his trade and economic agenda in what’s expected to be a 10-minute speech on Wednesday. For economy watchers, China has a full-scale data dump later tonight, including retail sales and GDP figures. Any further signs of a slowdown are likely to be bearish for global markets. The Bank of Japan announces its policy decision on Wednesday, with the European Central Bank following on Thursday. Don't expect action from either. The U.S. stock market will be closed tomorrow for Martin Luther King Jr. Day. At some point this week it's very likely that PG&E will file for Chapter 11 bankruptcy. Many thanks to Max Touhey for his gorgeous photo of Natalie de Blois' 270 Park, the former headquarters of Union Carbide and now home to JPMorgan Chase. 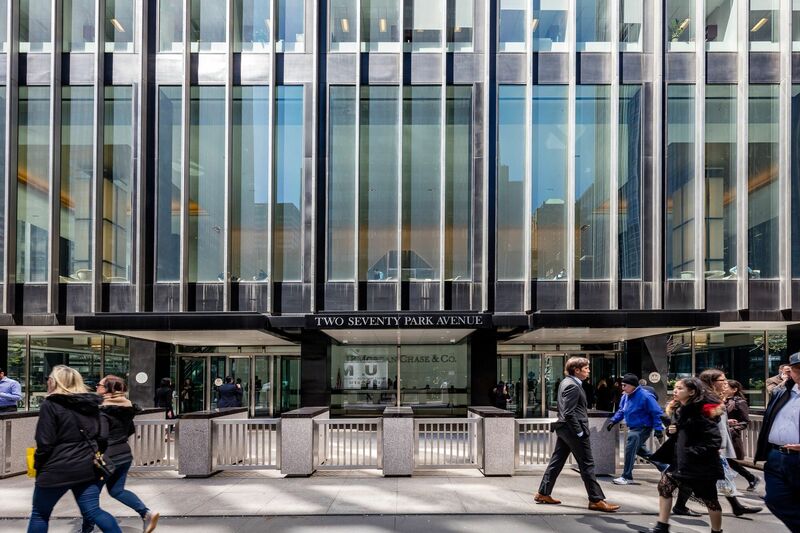 This clean and beautiful exemplar of Park Avenue modernism was the largest building ever designed by a woman when it was built in 1961 — a title it held for 50 years. It was effectively rebuilt in 2011, with an architecturally sensitive retrofit bringing it up to LEED Platinum status. JPMorgan has now filed permits to demolish the building, in the face of opposition from the Municipal Art Society, as well as architecture critics like Alexandra Lange and Justin Davidson. Its current headquarters building is set to become the tallest building ever to be voluntarily demolished. Our thought bubble: Tearing down this landmark building, which is effectively only 8 years old, flies in the face of JPMorgan's stated sustainability policy. 270 Park is historically important on multiple levels. It does not deserve this fate.